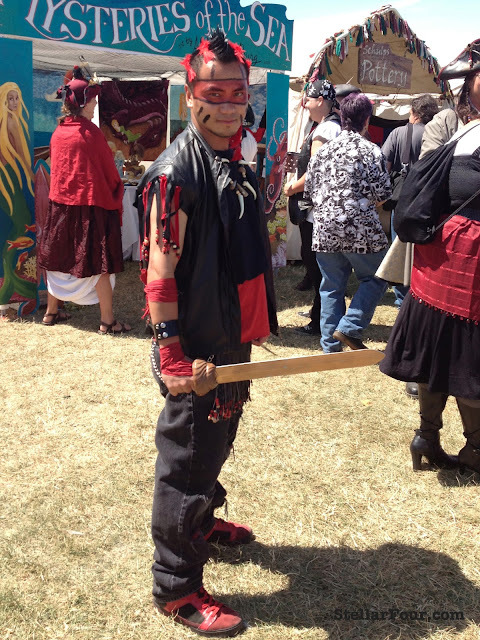 Ahoy, mateys! 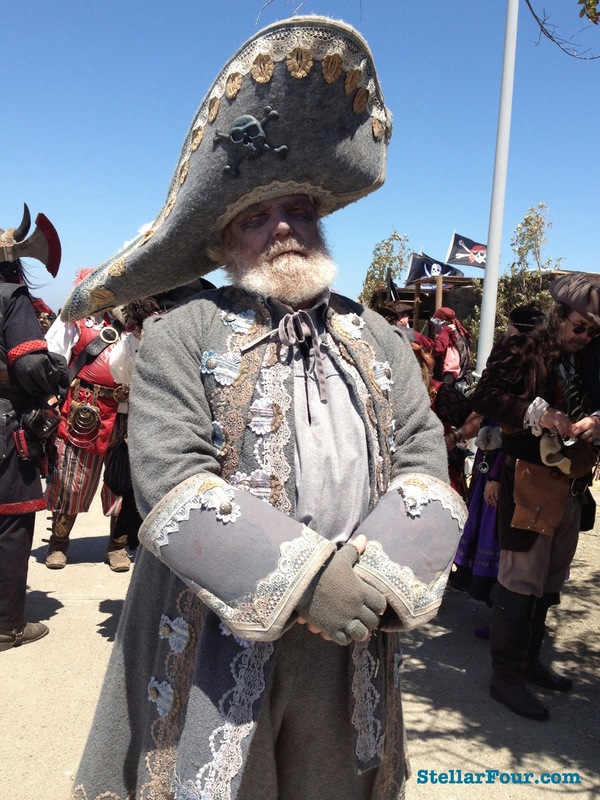 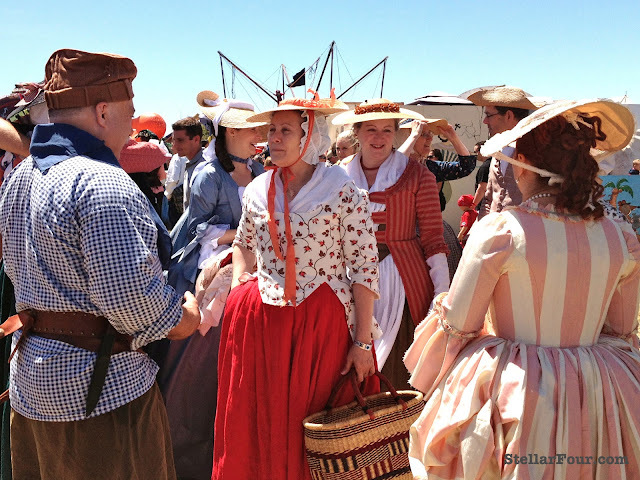 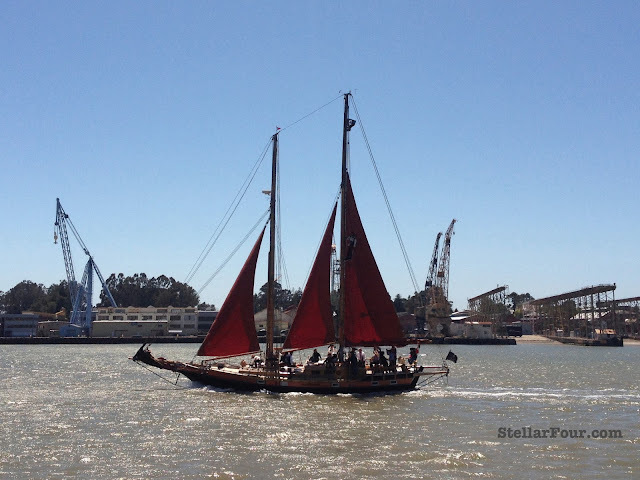 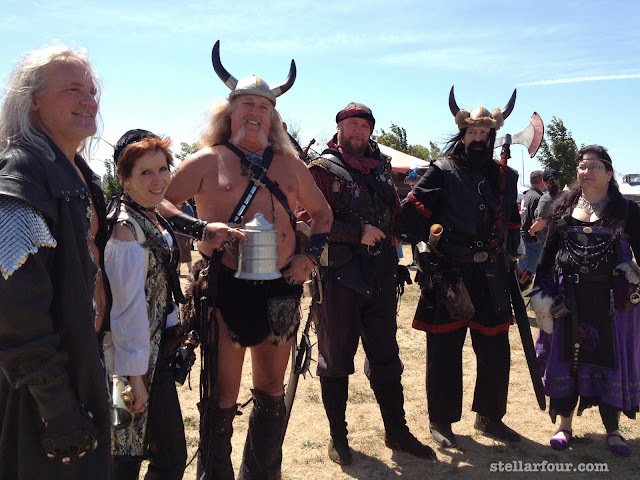 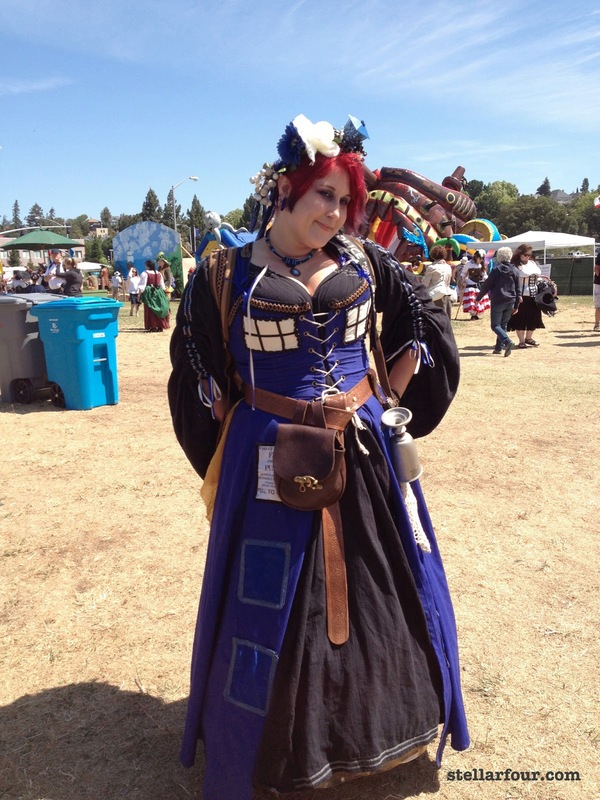 Scores of pirates, mermaids, and questionable characters invaded Vallejo's waterfront this past weekend at the Northern California PirateFest and it was absolutely fantastic. 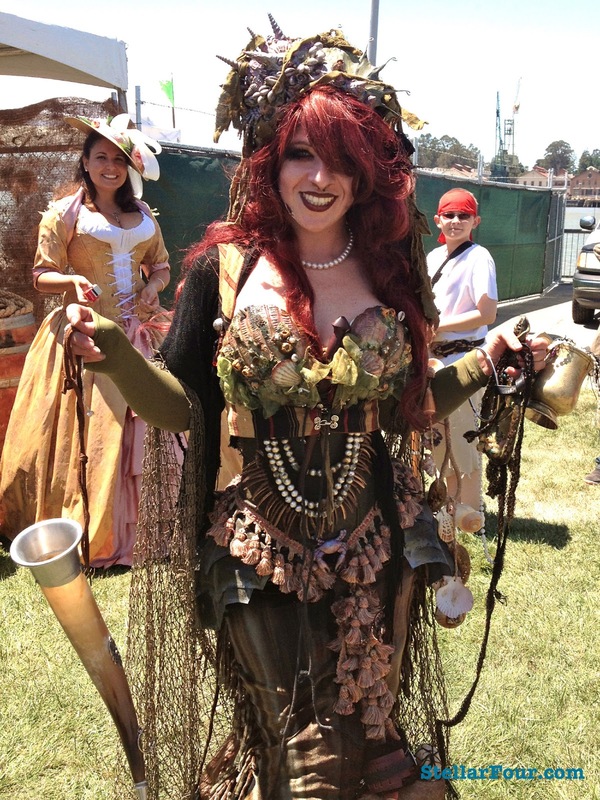 It was the best con/faire I've ever attended. I'm not sure how I did it but I managed to tear myself away from the cannon battles, music, stalls, and more to take photos of some of the best piratical cosplay on display. Here are my favorites. 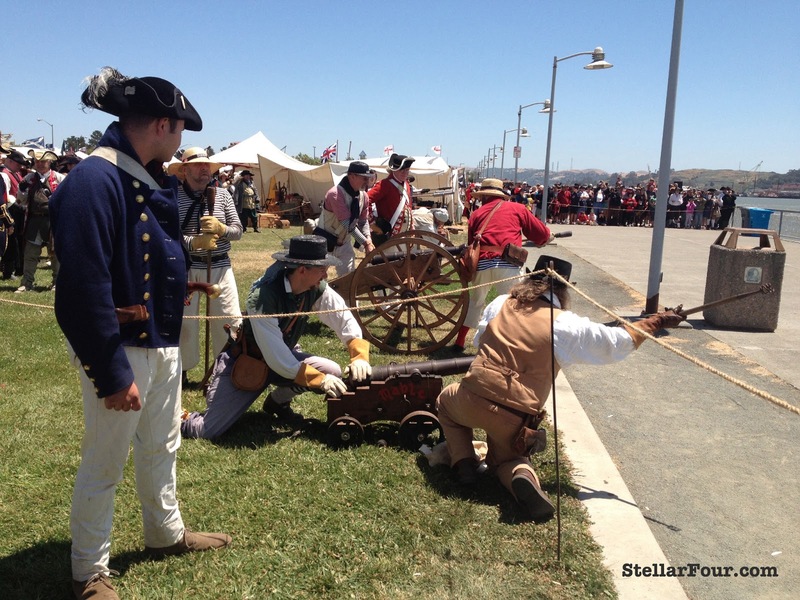 The Privateers of the Emerald Rose, enthusiasts from Seattle and Portland areas, put on a fabulous ship-to-shore battle with recreations of antique rail guns and cannons. I know. I know. 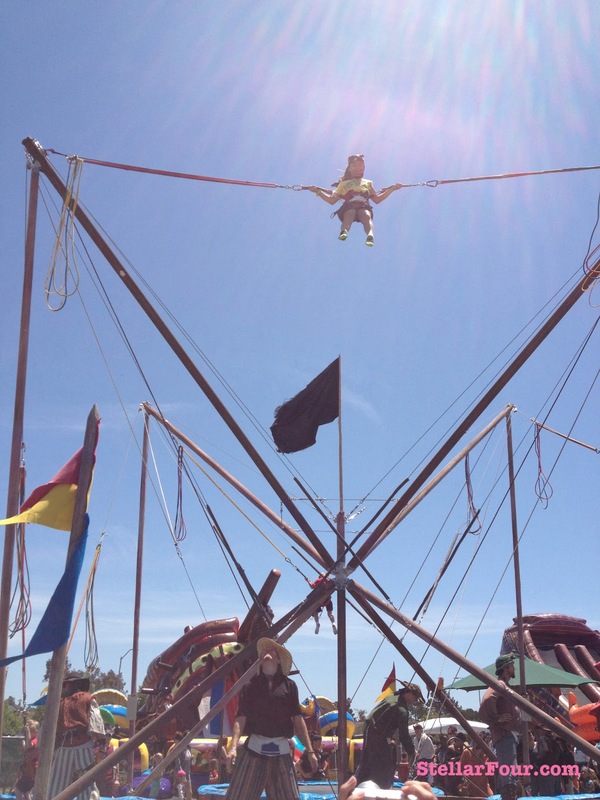 This was my first time using Vine. Just turn your head sideways and watch the jet of flame coming out of the last cannon. How cool is that?! 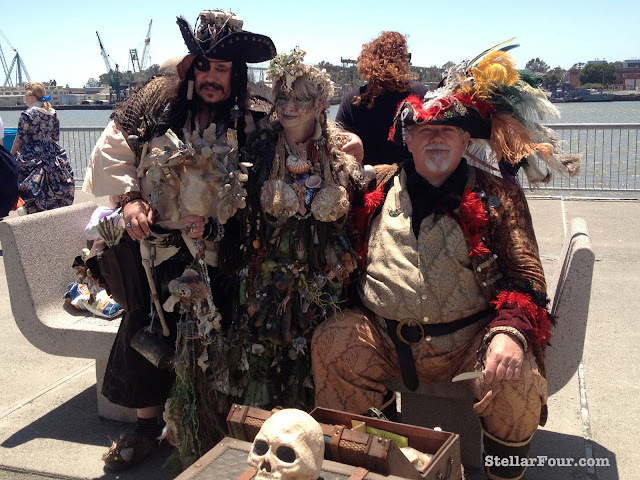 A sea witch and her pirates with treasure. 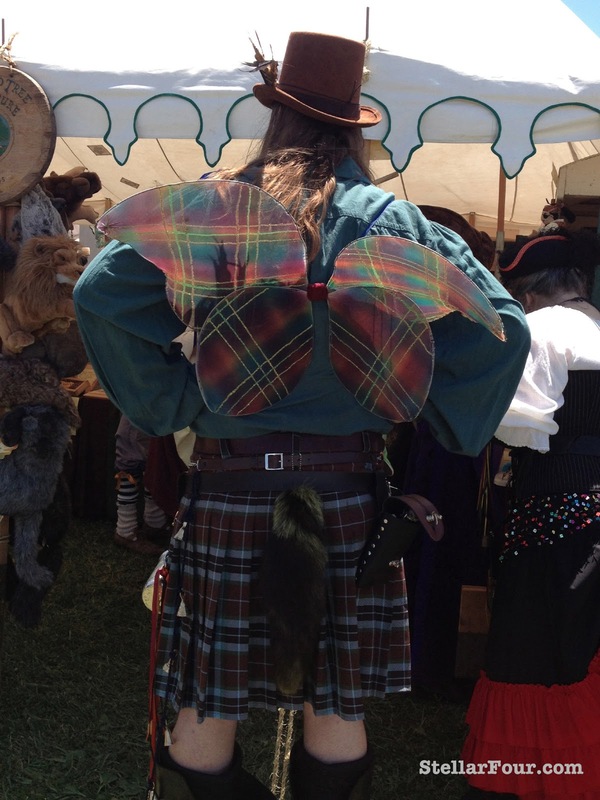 Look at those fabulous plaid fairy wings! 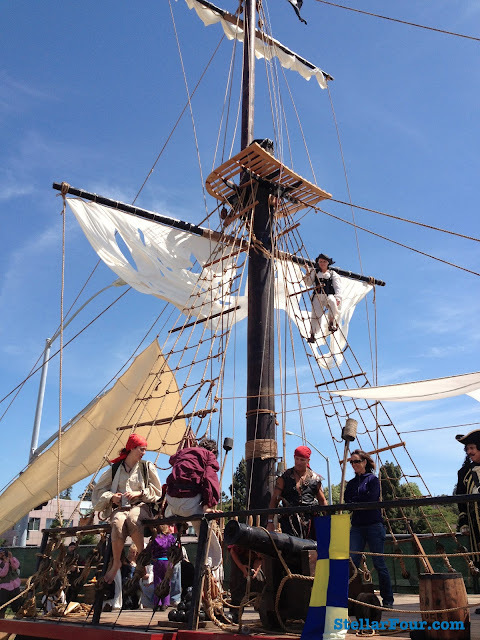 Little pirates flew through the air. 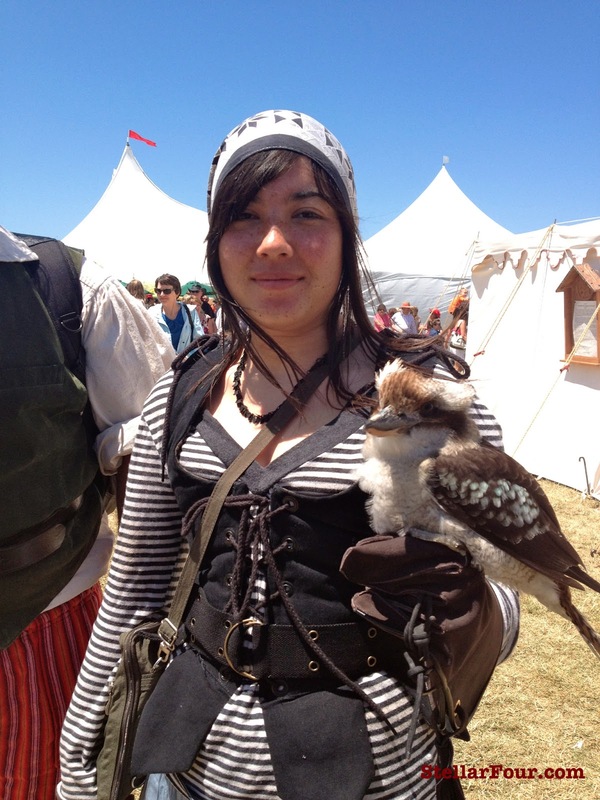 It took all my willpower to not pet her beautiful Australian kookabura. 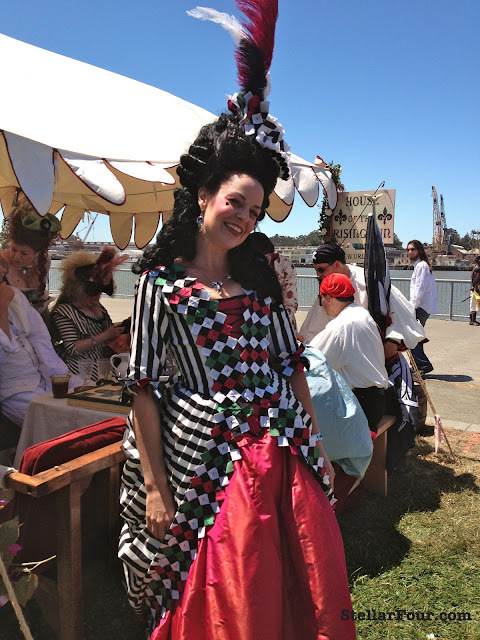 Another fabulous lady of the sea. I loved the colonials intermingling with the pirates. 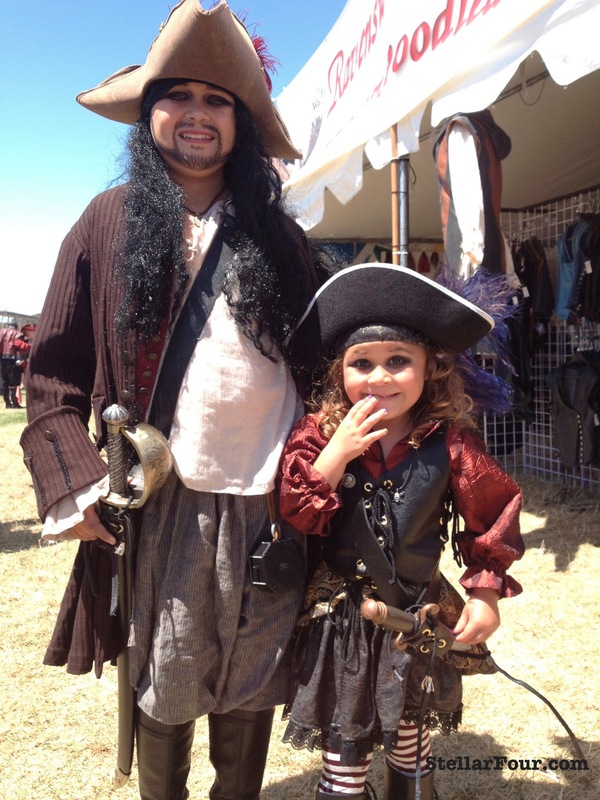 The littlest swashbucklers were just as well dressed as the adults. The ladies (and gentleman) of the night from the House of the Rising Sun were my favorite group. 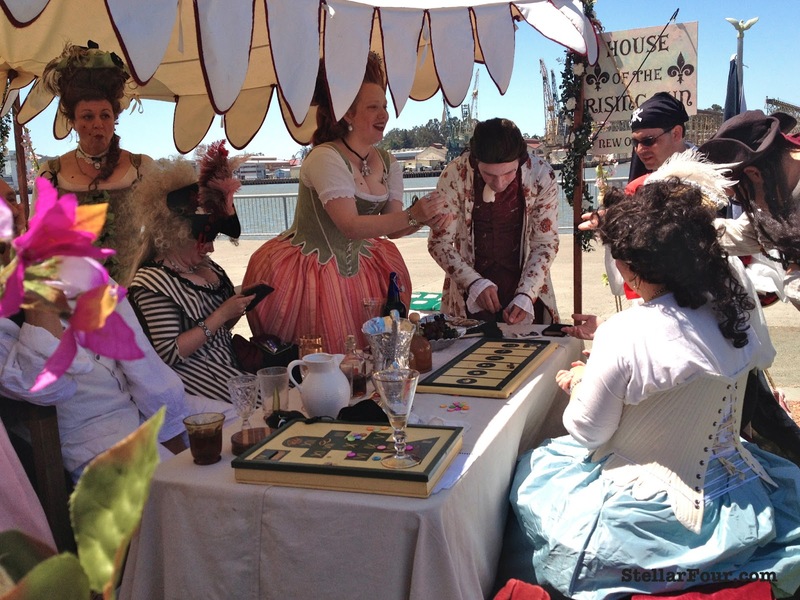 Their tent offered gambling and drinks. Life needs more Rococo! 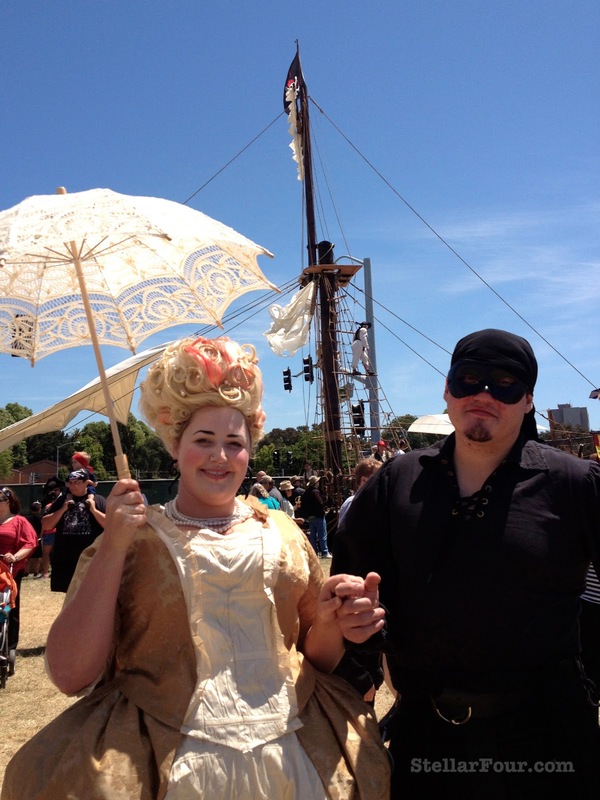 Look how adorable she is in her golden dress escorted by her Dread Pirate Roberts. 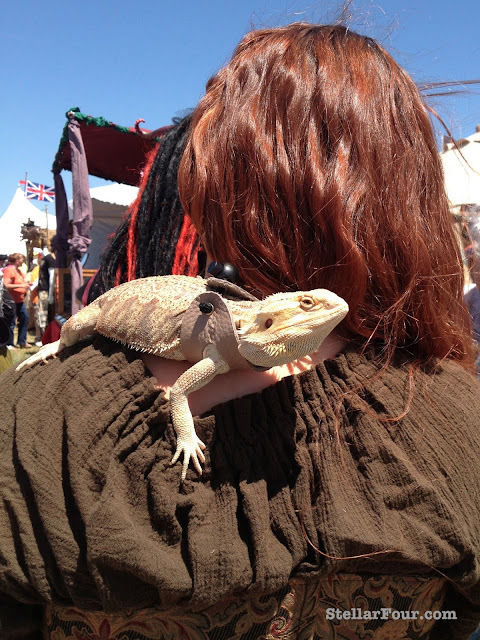 This fierce little beast had his own harness. 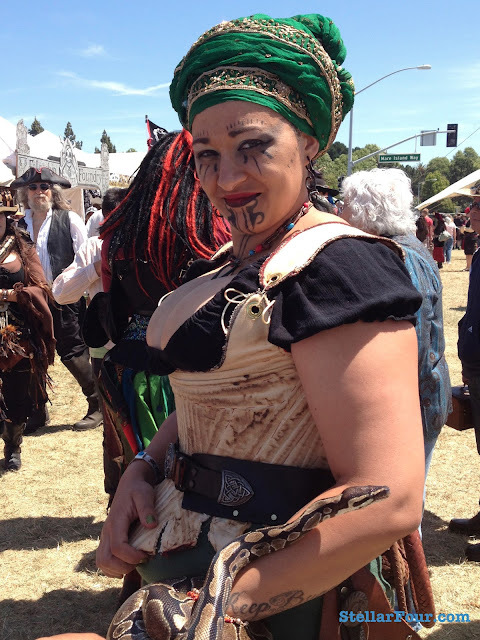 Snakes were a popular accessory. 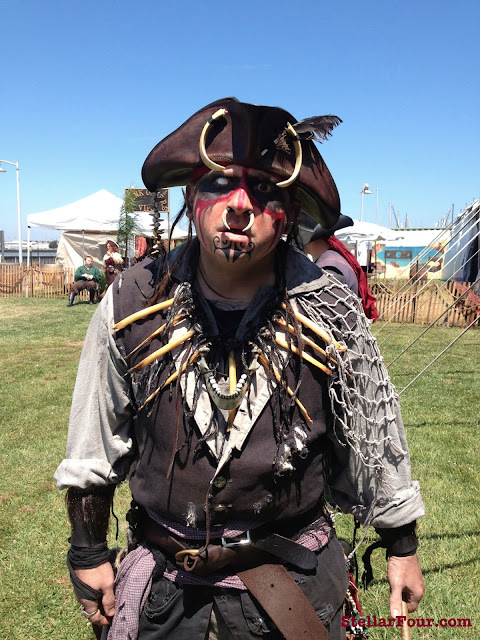 A bone nose ring that big takes commitment. 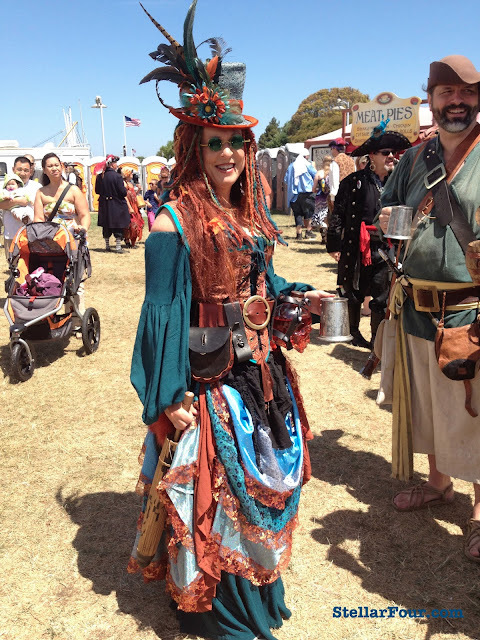 I'm a sucker for teal and copper. 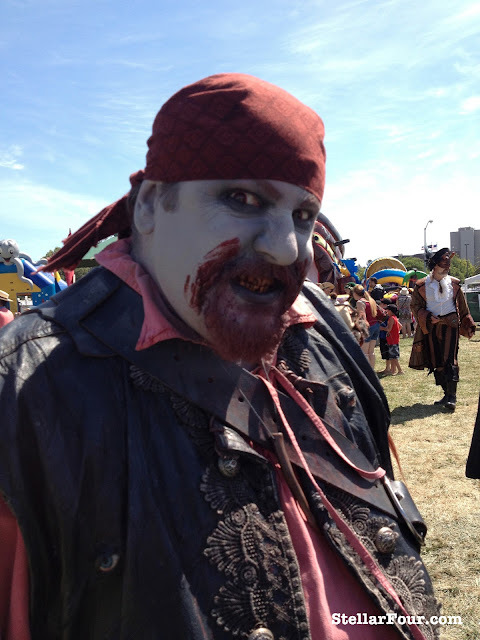 Do you think zombie pirates have to worry about scurvy if they only eat brains and don't get vitamin C? 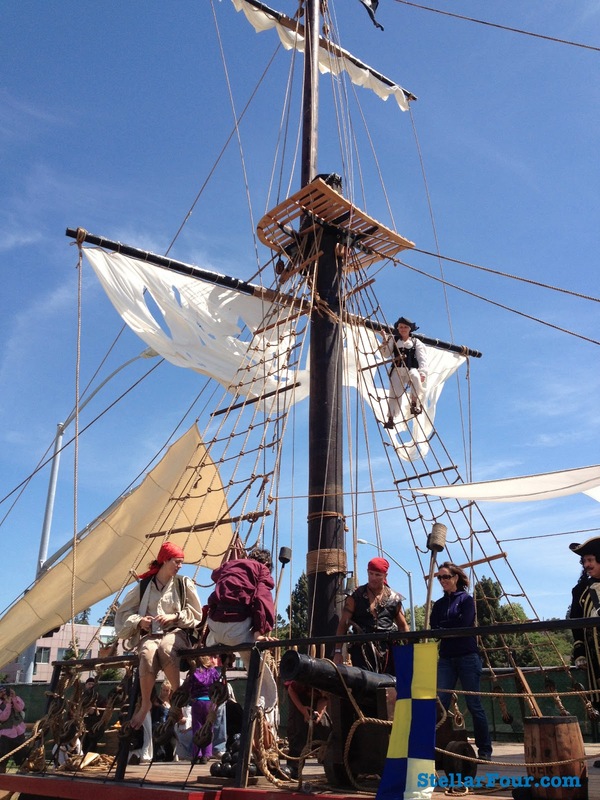 The deck of a ship was constructed for everyone to explore. 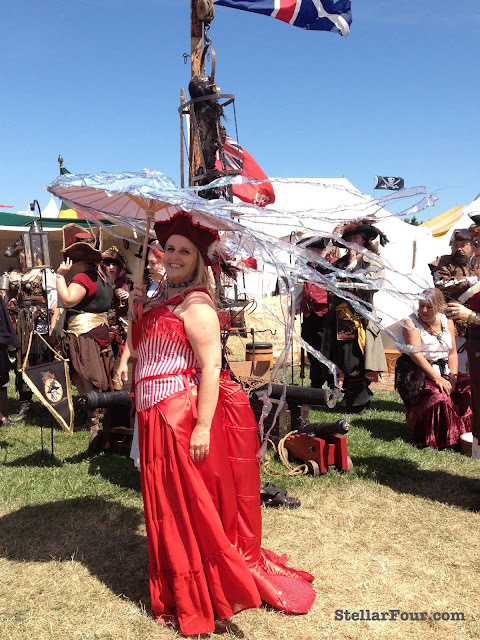 A lobster pirate with her beautiful jellyfish parasol. 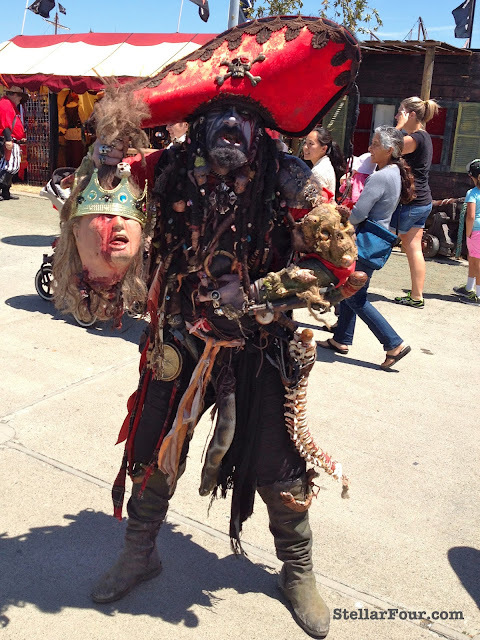 OK. Fine. 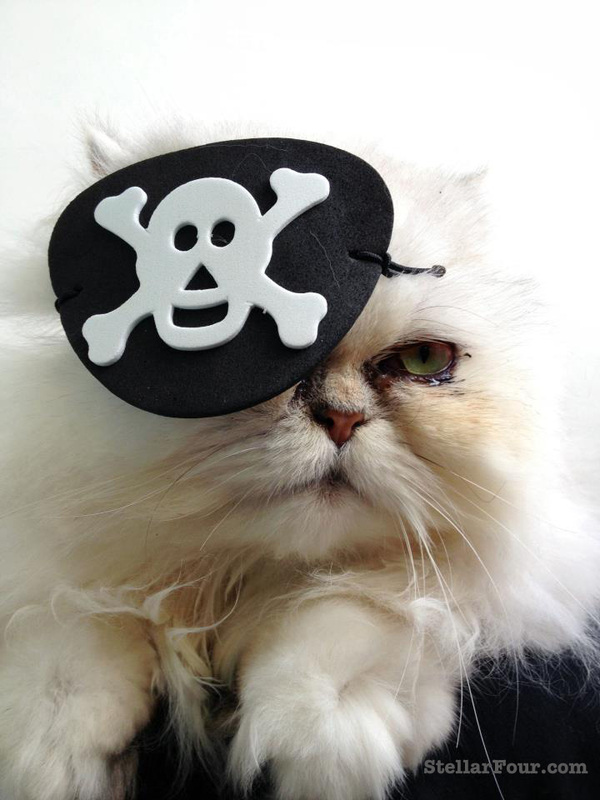 My cat Lilly didn't actually attend PirateFest but this is what she would have worn if she had.